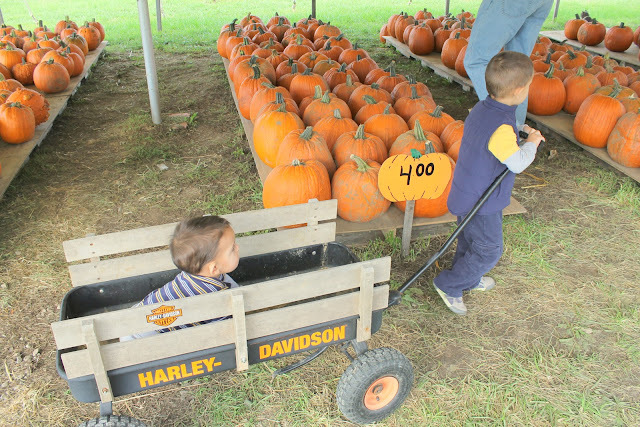 Last year I wrote about how excited I was to add a new "pumpkin" to our family when we made our annual trek to Nienaber's Farm Market. 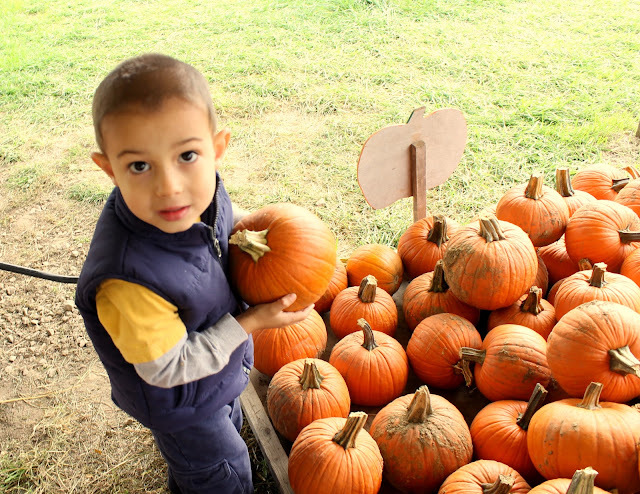 So even though I went to a different pumpkin patch with Big Arrow on his field trip earlier this month (to Hackman's Farm Market), there was no way I was going to let fall slip by without taking both my pumpkins to our traditional "patch." Our first challenge when we got to Nienaber's was what to do with Little Arrow since he's not quite walking (and thankfully, no longer in the womb like he was last year!) Naturally, we plopped him in the wagon meant for hauling pumpkins. Dirt and all. And then we let Big Arrow do the hard work of pulling him. Lazy parenting at its finest. 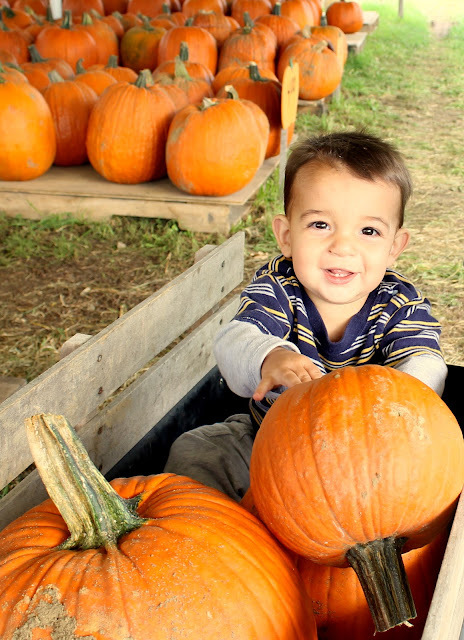 Big Arrow was our official pumpkin selector. 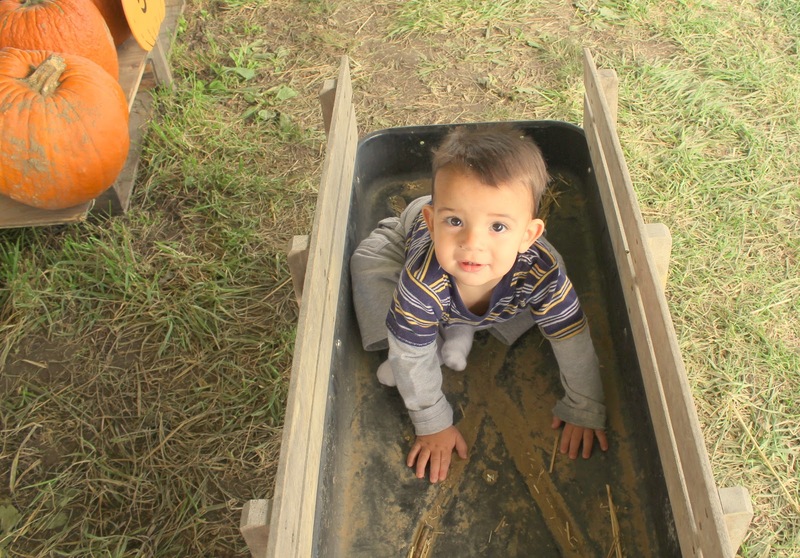 And Little Arrow had to keep all the pumpkins in the wagon. He was happily up to the task. So where did our pumpkins end up? Mom and Dad finally took on some work of their own. I'd show you the final product but let's just say we carved our pumpkins a week or two early and they are currently in a state of serious rot on our front porch. Ick. Adorable photos of your boys! 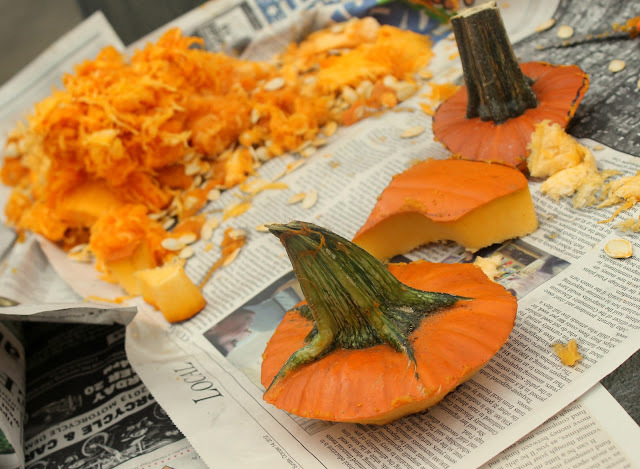 Yup, we've seen many a rotting pumpkin here in Seattle...and have learned the hard way that we have to wait until the absolute last minute to carve our pumpkins if we want actually enjoy them on Halloween. The lazy parenting only gets better. Pretty soon your two boys will be playing together for hours at a time without your intervention and you won't know what to do with all your free time! Awesome pictures!!!! I love this time of year - pumpkin pics are adorable!